Dr. David Harris in his office at the Center for Healing and Regenerative Medicine. He says, while his clinic uses stem cell treatments, he largely treats physiological conditions, not neurological ones, which are the subject of scrutiny. Adult stem cells may skirt the pesky theological issues raised by embryonic stem cell research, but their unregulated marketplace is raising ethical issues of its own. 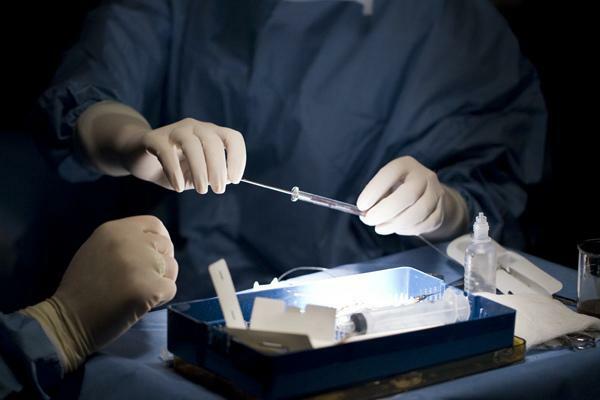 A study released at the end of last month found hundreds of clinics across the country that are marketing “unapproved” stem-cell therapies directly to patients. 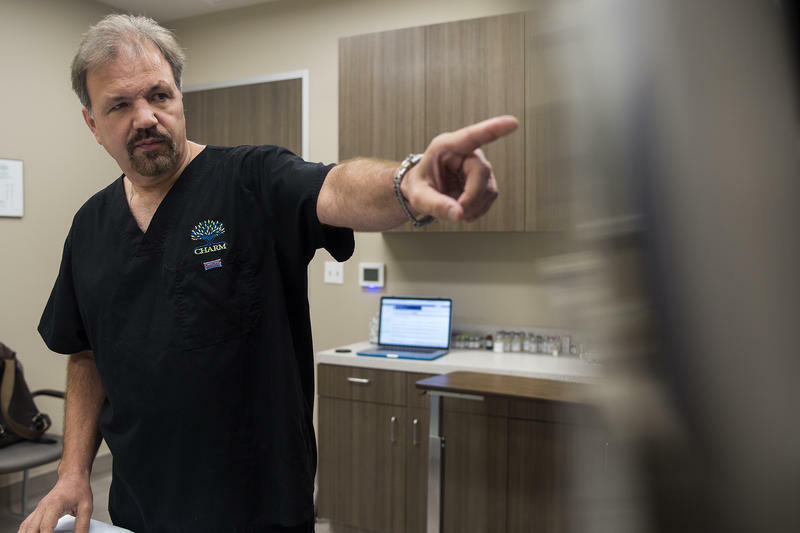 An online search for “Texas stem cell treatment,” brings up a website for the Innovations Stem Cell Center, a clinic out of Dallas. Its home page for their site features a video clip of a grey-haired doctor, decked in scrubs, explaining the science of stem cells to an attentive show host of WFAA-TV's "Good Morning Texas." This, he said, is flagrantly unethical. While adult and embryotic stem cells offer a lot of promise, they have been approved by the FDA only to treat a limited number of ailments – mostly cancers. There is nowhere near enough evidence for these clinics to justify doling out the treatments that they do, Scott said. He even objects to using the word “treatment” in conjunction with these potentially dangerous procedures. The study cataloged 571 clinics nationwide that are directly marketing unapproved stem cell treatments to consumers. Seventy-two of those clinics are in Texas. “Some of those clinics are definitely on the edge,” said Dr. David Harris, with the Center for Healing and Regenerative Medicine in Austin. He’s been treating patients for musculoskeletal injuries with adult stem cells for a few years now. “I actually agree with the bio-ethicists’ to a certain point,” he said. He sees the evidence for what he does as robust, and is wary of being lumped in with clinics that treat neurological conditions, for which he agrees that there is little evidence at this point. But his clinic is on that same list. Dr. Leigh Turner, one of the authors of the study, said that you can find debate among respectable orthopedic surgeons, and that some agree with Dr. Harris – that stem cells are a legitimate therapy for musculoskeletal conditions. 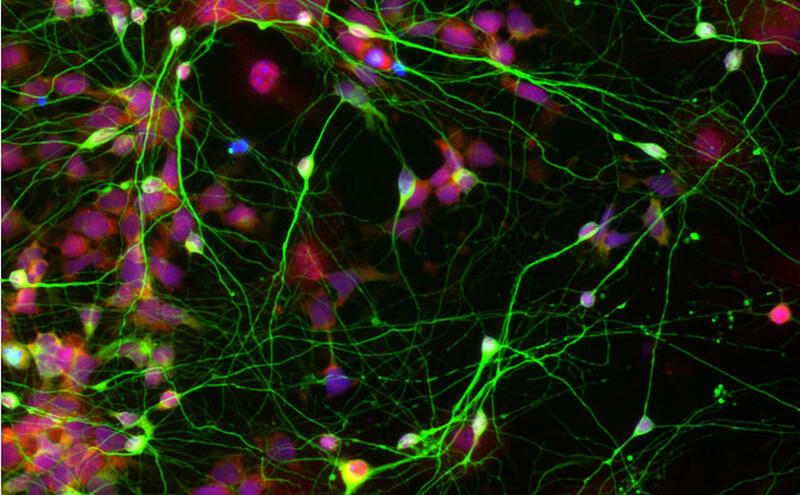 A microscopic view of human neural stem cells originally reprogrammed from adult skin cells (red blobs), morphing into human brain cells. But neither Dr. Scott nor he believe the evidence is there yet. They look to the insurance companies, who won’t cover the costs of what they consider unproven treatment. There are definitely good researchers out there, and some of these clinics could be doing cutting edge work, Scott said. But, for him, the lack of regulation really muddies the water. He advises that people watch out for clinics who offer too many, often glowing, patient testimonials. 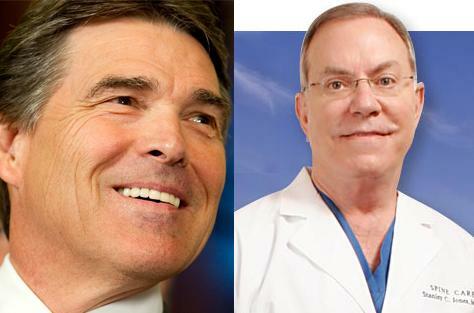 The doctor who performed a controversial adult stem cell infusion on Rick Perry during a July spinal surgery said Wednesday night that he’d never done the procedure before he did it for the governor, who could announce a run for the presidency any day. The Texas Medical Board has approved guidelines for the use of adult stem cells. The new rules say that the procedure must be part of a clinical trial and have the approval of the Food and Drug Administration or an institutional review board. Leigh Hopper, a spokesperson for the Texas Medical Board says these institutions will make sure the use of adult stem cells is safe, ethical and that patients give informed consent. Hopper says board members felt that since patients already have access to adult stem cells, the procedure needs to be regulated. “Since this is occurring right now, the majority of the board felt that it was important to put some sort of framework in place to protect patients,” said Hopper.